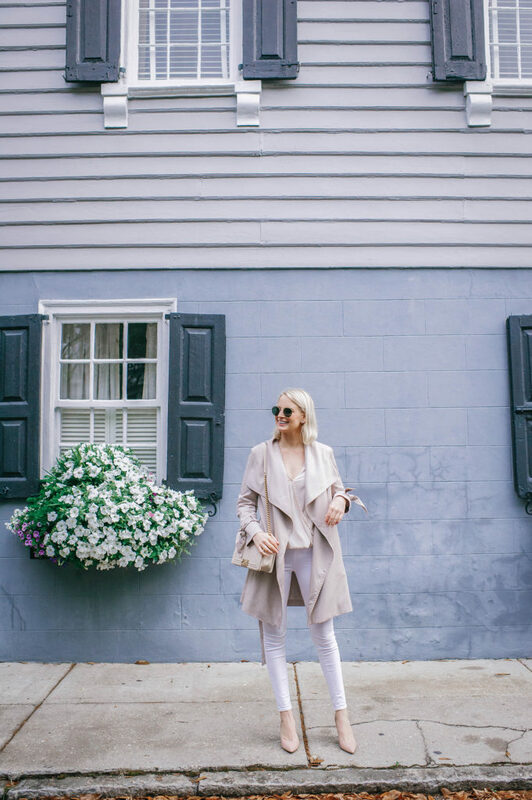 As you all know, my very favorite neutral staple is a lightweight trench. It’s one piece I wear repeatedly from spring to fall! I have multiple colors and styles at this point, but my favorites have always been soft neutrals like this Club Monaco grey-beige (greige, you could say!). I wear them with everything from black dresses and flats, to tees, distressed jeans and sneakers. They’re a great topper for these in between weather weeks when the temps keep bouncing around and rain is inevitable. I also just love how effortlessly they tie together and add polish to any look! While this old trench I’m wearing here is probably my favorite in my closet at the moment, I have my eye on some fresh styles to mix things up. Shop the chicest trenches of the season at a variety of price points below! 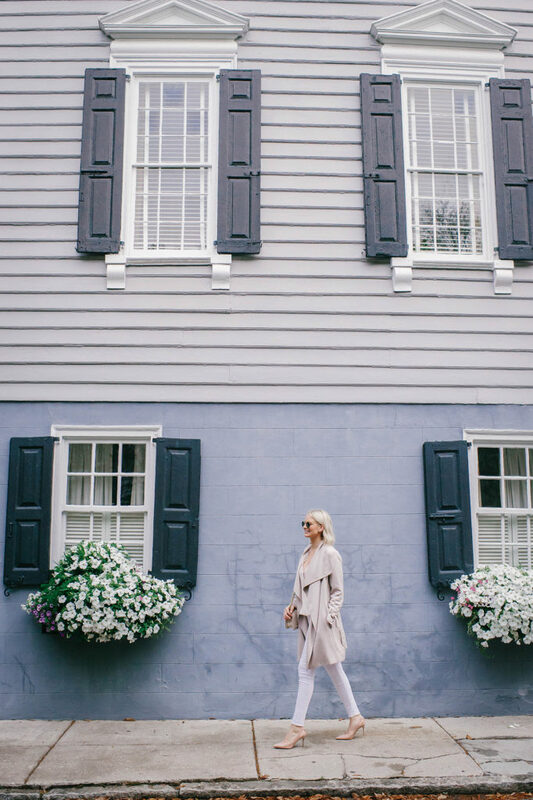 This soft draped trench comes in five colors and is under $130! This pale blue trench with neutral buttons looks like it would fit right into my spring/summer travel wardrobe! Under $150. Love this streamlined style! Comes in a pale blush and sage green. So pretty! Really love the rich sunkissed hue of this trench! A great transitional piece you can definitely wear into fall. This double-breasted trench is under $150 and comes in five colors! This is the latest Club Monaco trench to catch my eye. Love the soft sage color!! 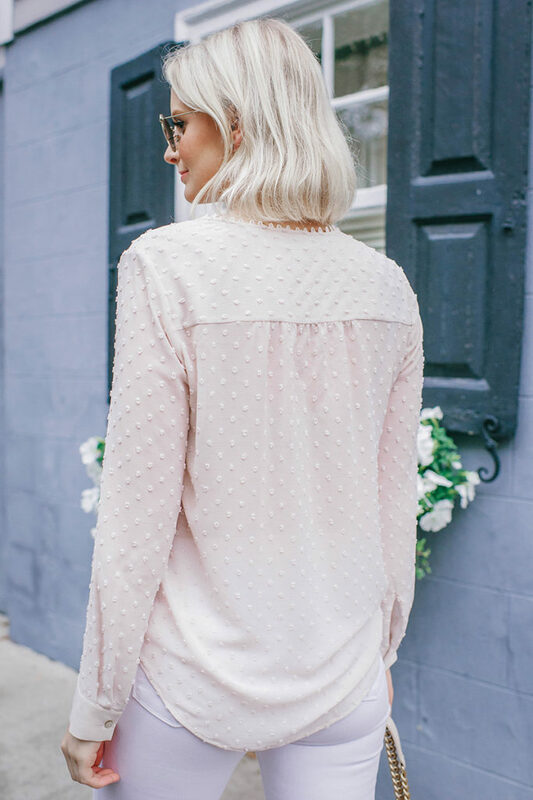 If you’re looking for more pastels, don’t miss this under $150 find! This AllSaints trench is another effortless basic! Adore the subtle feminine details on this trench by BB DAKOTA! Yes, it is trench coat season! Thanks for sharing these trench coats!